Highlights from the TO-based event that brought together some brilliant, hopeful minds. 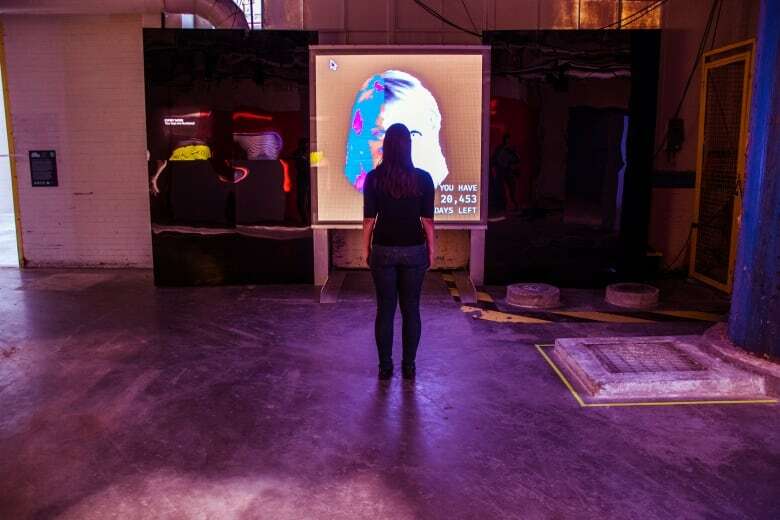 Recently in Toronto, we visited EDIT: The Expo for Design, Innovation & Technology, which took over the abandoned 150,000 square foot Unilever soap factory at the bottom of the Don Valley. From art that made people think to innovations on how to feed, house and clothe those in need to propping up projects that work to build a sustainable future for the human race, the 10-day festival was a huge draw for art, design and environmental lovers. With talks from David Suzuki and A Tribe Called Red's Ian Campeau among more of today's most brilliant minds, there were challenges presented for sure, but also a sense of hope in this very politically charged time. And innovations that just might change our future for the better. Here are five that stood out to us in particular. 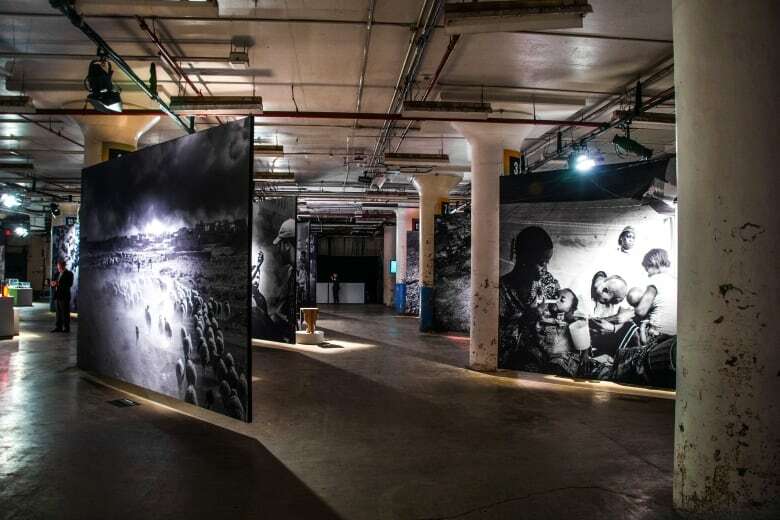 Curated by Canadian design icon Bruce Mau, the main exhibit, which took up most of the first floor of the Unilever building, juxtaposed Poalo Pellegrin's haunting black and white photos of devastation throughout the world, with people and inventions that are helping to combat issues such as famine, the refugee crisis, smog and more. Highlighting the Smog Free Project (Dutch artist and innovator Daan Roosegaarde's smog free bike, which works to purify the air around you while you ride, that just this year partnered with one of China's largest bike share programs! ), The Ocean Cleanup (millennial Boyan Slat's creation is destined to remove 50 percent of the trash found in the Great Pacific Garbage patch in just five years) and many more. The exhibit showed incredibly smart solutions that are reaching those affected by conflict and environmental catastrophes. What if you thought you only had 16,456 days left to live? How would you spend your time? For Dennis Kavelman, an artist and tech investor who splits his time between Toronto and Waterloo, this question plagued him after seeing two close friends go through major life events that made them question their purpose. "Why do you have to go through a life-changing event to be self aware?" Kavelman, who collaborated with the digital futures team at OCAD to create a piece of work inspired by Andy Warhol, asked me the day EDIT opened. Expiry Dates works in two phases: It compiles answers from an online questionnaire, measuring your life expectancy against a myriad of points such as your fitness level, whether you smoke, if you're married and more. Then you sit for a self-portrait, which you attach to a QR Code with all your data. In a few minutes your heartbeat appears on the big screen, taken from a reading from your eye, and then your portrait appears along with your predicted date of expiry. Another piece of the installation, titled That's Not Very Many, uses a magnetized digital board to break down those days in months. If this all seems a bit morbid, it's actually not meant to be. "Can I use art to hit someone over the head to realize they only have a set amount of time?" Kavelman said of his work. "I want people to frame their thoughts about how they spend their time." He says he hasn't had anyone respond saying they quit their job or have done something else major after taking part (it is estimated that hundreds of people went through the installation at EDIT), but he is hoping to gather some data through the #expirydates hashtag on social media. Living sustainably means looking at where we live and providing affordable housing for all. 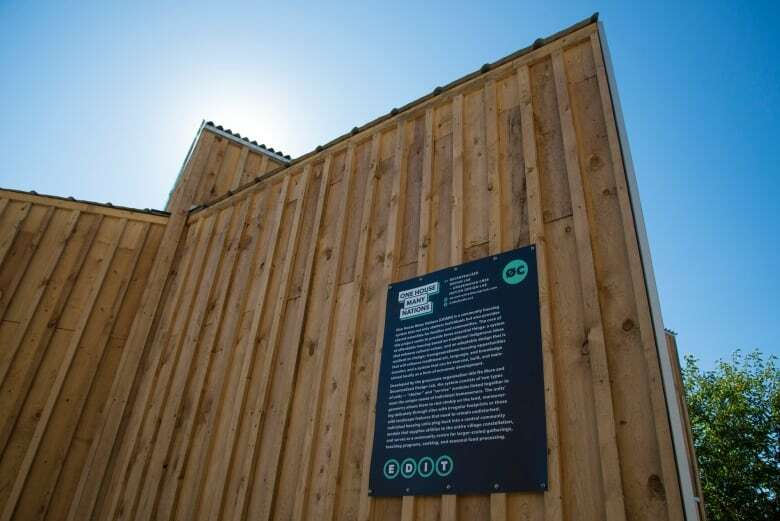 A few exhibits on the property outside showed just how some designers are hoping to achieve both. 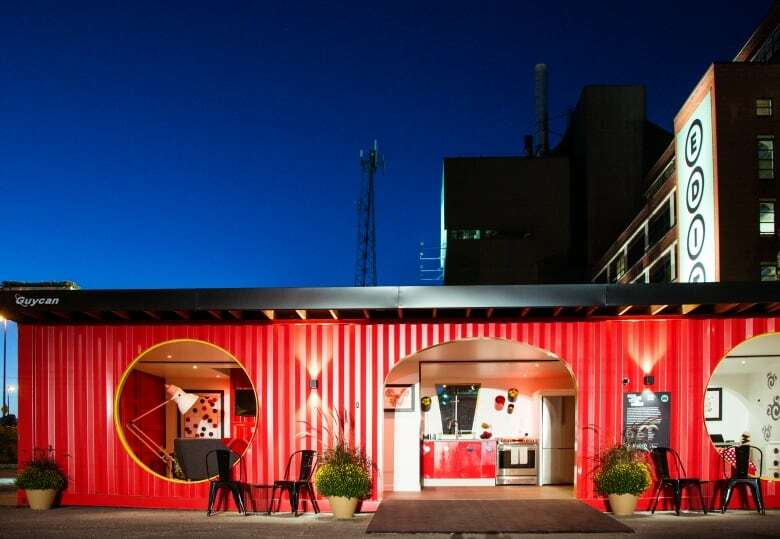 The flashiest was Mickey Mouse's Home of the Future, which was a fully functional shipping container dreamed up by a trio of students at OCAD. The One House Many Nations home, which will be brought back to a community in Saskatchewan for a couple to reside in, is the brainchild of grassroots organization Idle No more, who seek to provide affordable housing based on traditional Indigenous ideas, and consists of two modules that link together, one dubbed shelter and the other service, that can be pieced together based on the family or individual's needs as well as the landscape in which they live. 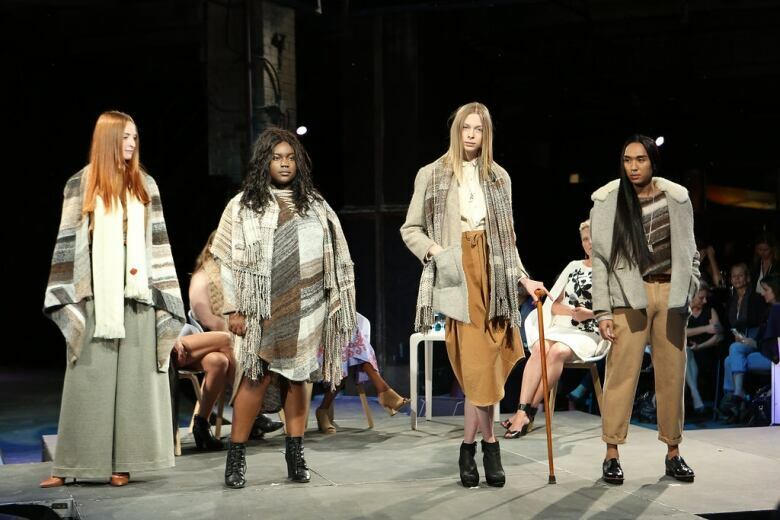 Earlier this year, Fashion Takes Action announced Design Forward, a $50,000 prize to be given out to a sustainable fashion label in Canada. On Tuesday night at EDIT, that prize was handed to Peggy Sue Collection, a line of eco-friendly cotton and denim, made with a fashion forward focus. After narrowing the field of ten down to three (also including sustainable jean label Triarchy and the print-heavy Omi Woods collection), it became clear that Canada has a new lease on fashion, and that's through sustainability. 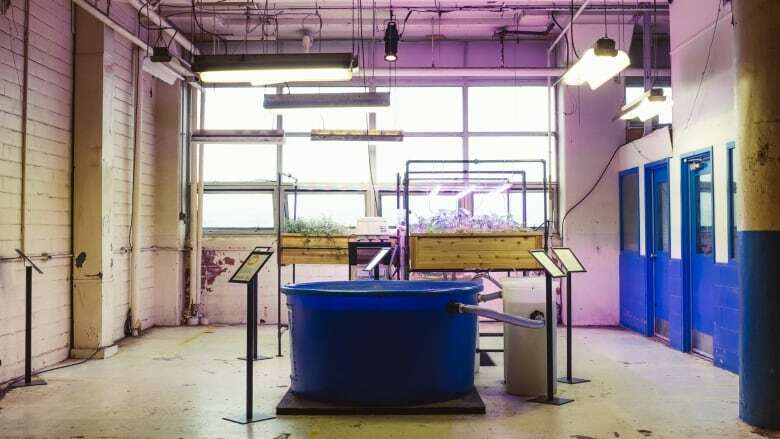 In the mind frame of feeding many with minimal impact, Waterfarmers created an on-site aquaponics exhibit to show how fish waste can be used to fertilizer food. An ancient concept that is seeing resurgence in the last ten years (and certainly one of the ways David Suzuki sees the human race moving forward sustainably, after he gave biomimicry a shout out during his talk on the 29th), the idea is to utilize water that is housing fish to then fertilize plants, providing protein and vegetables in a sustainable manner with the help of well-placed air filters and more. Talk about closing the loop.